Pet owners in the US are turning to medical marijuana in growing numbers to treat their sickly pets for ailments ranging from arthritis to cancer. Dogs, cats, pigs, horses, lizards and even turtles are among animals said to have benefited from the drug, which has become a multi-billion dollar industry since its legalisation for human medical use in 29 American states. “We are seeing about 20 per cent growth every month; we are treating thousands of animals,” said Alison Ettel, founder of a California company that supplies pet cannabis products. The US Food and Drug Administration, the federal agency that oversees the safety, efficacy and security of human and veterinary drugs, has not approved marijuana for use either in humans or animals despite individual states having sanctioned it at local level. 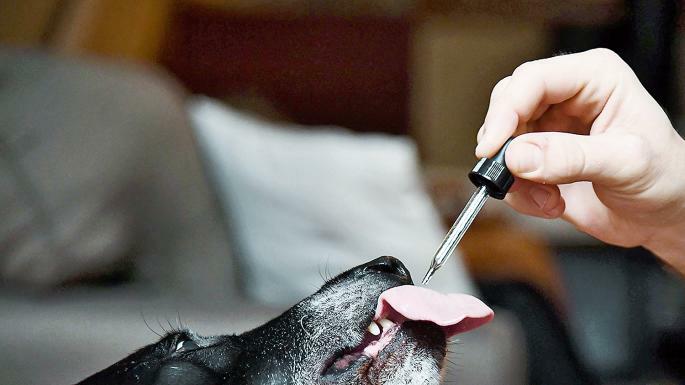 Scientific understanding of its medical benefits is still evolving, but a growing number of pet owners are giving cannabis products to their animals. Case studies shared by the American Veterinary Medical Association include a horse named Phoenix, in California, that was close to being destroyed after it lay down and stopped eating because of degenerative ligament disease. Its owner gave it marijuana extract; the horse was back on its feet within an hour. Maria Ellis Perez, of Pompano Beach, Florida, said that her lame pet skunk enjoyed new-found energy after she gave it chewable hemp treats. Other owners have spoken of using cannabis treatments to calm anxiety in dogs and pain in animals including reptiles. The products come as tinctures or as chewable treats. Nature’s Best, a company in Pennsylvania, sells cannabis-infused shampoos and sprays. Ms Ettel’s company, Treatwell, began making edible cannabis for humans then ventured into dog biscuits high in cannabinoids — chemical compounds secreted by cannabis flowers that provide relief for pain, nausea and anxiety. They were originally aimed at helping dogs that suffered seizures. Elements of cannabis can be toxic to pets, however, and human dosages can be fatal.